Ability Text: Untap target creature. It gets +1/+4 and gains reach until end of turn. 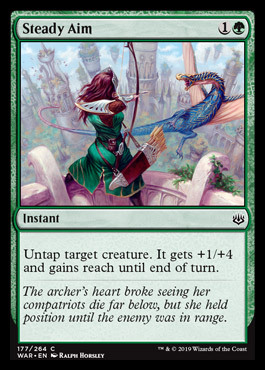 Flavor Text: The archer's heart broke seeing her compatriots die far below, but she held position until the enemy was in range.